WeVideo – Definitely worth your consideration is WeVideo. Although similar to iMovie editing in some ways, this system makes it easy to brand across videos. It is also possible for clients and sales associates to collaborate seamlessly. Simply put, WeVideo takes a team approach that has been proven highly beneficial for professionals in real estate. Eyejot – With this free service, you can embed short videos into emails. What makes this technology so great is that it offers tremendous return and open rates. NameChk – A free service is being offered by NameChk for a one-of-a-kind social media strategy. As the name implies, you have the ability to check your website’s name to see if it will be available for all social media platforms. Because social media has become one of the most effective ways of marketing and branding a business, this service is vital. TimeLapse – Another option is this iOS app. With TimeLapse, you can create videos that are sped up, as the name suggests. One of the key benefits of using this technology is that you can edit flaws that show up during filming. By using this service, you can present a huge event with complete success. Textagon – With this technology, a social media post can be transformed into “visual poetry.” This free macro generator app allows you to construct text and photo updates that are more appealing and alluring. The results are so amazing that everyone will think the user is a seasoned graphic designer. 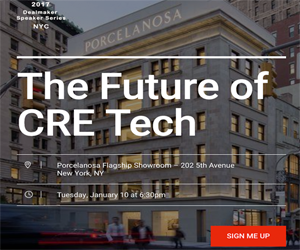 In addition to the services and apps mentioned, there is a slew of up-and-coming technology tools that will further enhance the work performed by professional real estate agents, brokers, investors, developers, and others in the industry. While some of these tools have to do with virtual reality, others focus more on the safety of people working in the field. There is also a group of technology tools on the horizon used to enhance conversations between various parties. Thanks to advancements in technology, a tremendous amount of stress that goes along with working in real estate is dramatically reduced. Obviously, this makes your work more enjoyable. Better yet, these technology tools will help you reach a new level of success with less effort. Although some people still struggle by doing things the old-fashioned way, with so many technological advancements, this is unnecessary. By adopting one or more of these new technologies, you will quickly begin to see significant improvements in your results.